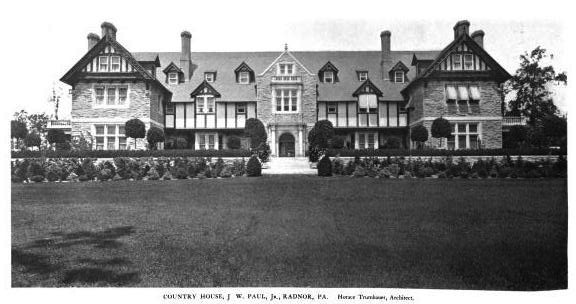 'Woodcrest', the James W. Paul estate designed by Horace Trumbauer c. 1899 in Radnor, Pennsylvania. 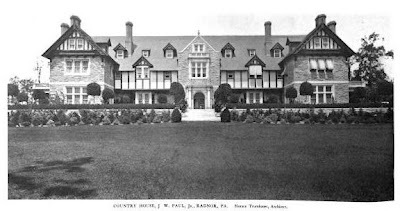 Paul was a banker and partner with the firm of Drexel & Company. The house is currently part of Cabrini College. Click HERE to see 'Woodcrest' on google earth and HERE on bing. Photo from Architecture, 1903.